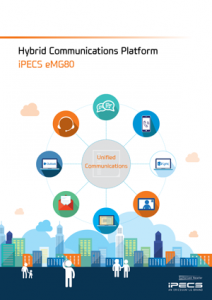 iPECS eMG80 delivers simple and reliable telephony with a feature set that empowers your business to save money, drive productivity and increase customer satisfaction. With a range of embedded features that help your business compete and win, and the flexibility to meet the needs of office, home or road based users, the iPECS eMG80 is Your Communications Solution. Intuitive interface helping users quickly grasp the benefits of iPECS technology. Flexible architecture ensuring iPECS can grow and adapt with your business. Handset and desktop interfaces helping users quickly adopt iPECS into their daily tasks and business processes. Highly featured straight out of the box without expensive licence options – voicemail, auto attendant, voicemail to email, smartphone integration, on-demand call recording and much more. Specialist features designed to support users across your enterprise from managing director to receptionist, delivering a tailored solution for every user.